American journalism has long maintained a sort of egalitarian myth about itself. While our country’s free press requires no formal training or licensing, an honest history of the profession shows very distinct hierarchies, from the vaunted Runyonesque blue-collar beat reporter to legendary insiders, like Washington uber-columnist Scotty Reston, who act as handmaidens to the powerful. 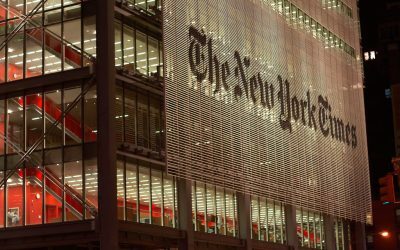 And it is no coincidence that arguably the nation’s two preeminent newspapers—the New York Times and Wall Street Journal—stand apart as the most rarefied of perches in our nation’s news ecosystem. It’s at these outlets that these class distinctions are the most glaring—and most problematic. Just how elite these papers have become was the subject of a new study from Jonathan Wai and Kaja Perina, a researcher at Case Western Reserve University and the editor-in-chief of Psychology Today, respectively. 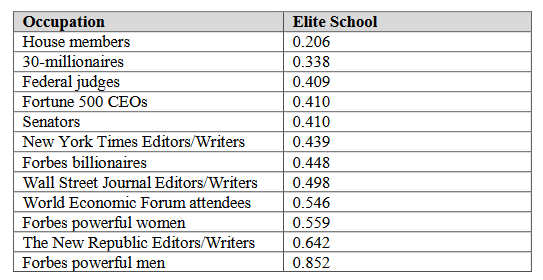 The two have just published a survey in the Journal of Expertise(3/18) that looked at the educational backgrounds of hundreds of Times and Journal staffers, comparing them to the elite individuals these papers routinely cover. The survey reveals how the staffs of the Times and Journal are starkly different than typical journalists. The findings also tell us a lot about how reporters and editors from these two news organizations cover the powerful, as well as why their coverage often falls short of holding the powerful to account. It is unclear whether a master’s degree from an institution such as Columbia University confers added skills or simply builds a journalist’s network, thereby giving them access to jobs at elite papers such as the WSJ and NYT. Social networks may be disproportionately important in publishing and the arts/humanities generally, given that there are fewer quantitative gauges of output (patents earned/peer-reviewed articles submitted) and talent is more subjectively judged in journalism and publishing. This is almost certainly true. Journalism is a job that is best learned by doing, which is why the curriculum at journalism schools like Columbia emphasizes reporting, writing and editing actual news stories rather than news theory. So in a highly competitive journalism job market—which is even more magnified at high-profile newspapers like the Times and Journal—who you know can end up being the tipping point. This strong tendency to hire journalists with academic backgrounds from elite and Ivy League schools, in effect, replicates the same implicit biases that distort admissions to those schools, which are mostly private institutions located on the East and West Coasts with extremely high tuition. Current tuition for Columbia’s full-time, 10-month M.S. program, for example, runs to $105,000 with living expenses. While many of these elite, competitive schools do make a point of seeking diverse student bodies, and possess large endowments that allow for scholarships for those in need, the high cost of entry naturally precludes many otherwise capable candidates. (I graduated from Columbia Journalism School’s part-time program, which offered no scholarships but allowed me to work full-time and go to school.) So even with these schools’ efforts to recruit students of lower socioeconomic status and diverse ethnic backgrounds, the byproduct of their upper-class student bodies ends up creating an increasingly cloistered news staff whose personal experiences, assumptions and blindspots are unrepresentative of the country in terms of culture and class. Of course, it should be noted that both the Times and the Journal publish excellent, rigorous journalism every day. Both papers employ plenty of journalists with varied work and class backgrounds as well as educations, and our democracy, on the whole, would be poorer without them. And yet the more the staffs of the Times and Journal resemble those powerful politicians and wealthy public figures that they cover, the greater the risk they will become too credulous or incurious about them, whether intentionally or unwittingly. This, in turn, makes it that much harder for those papers to produce necessarily fair and critical coverage. And because these two newspapers occupy such a key position of prestige, their institutional blindspots can ripple outward through our news ecosystem, fostering reporting failures on a massive scale. This point is particularly salient on this, the 15th anniversary of the US’s invasion of Iraq. 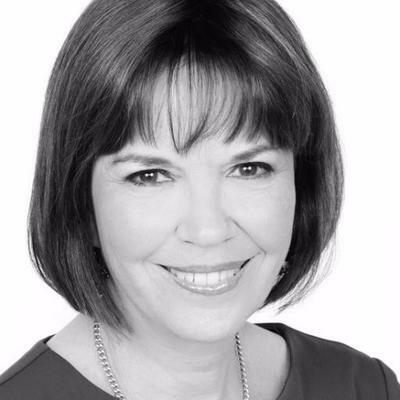 Of all the flawed reporting by the mainstream media leading up to the war, perhaps none was a bigger contributor to that foreign policy disaster than that of the New York Times’ Judith Miller (Media Beat, 10/17/05). She fits the same profile uncovered by this latest study, having gotten an undergraduate degree from Barnard (now part of Columbia) and a master’s of public affairs from Princeton. Thanks to her background and years of national security reporting at the Times, for which she won a Pulitzer in 2001, Miller had become member of the tony Aspen Institute, a veritable Who’s Who of Washington foreign policy insiders, where she enjoyed access to numerous senior Bush administration officials. In 2002, those officials wanted to push a phony story about Iraqi WMDs, and Miller, whose reporting clearly suggests she viewed those officials as kindred spirits instead of sources to vet, was more than willing to tell it. And if more and more reporters and editors at the New York Times and Wall Street Journal similarly mirror the powerful subjects that they cover, the likelihood of more such catastrophic failures of journalism will only increase.